WVU Reed College of Media associate professor, Rita Colistra, second to left, with students in Pineville. 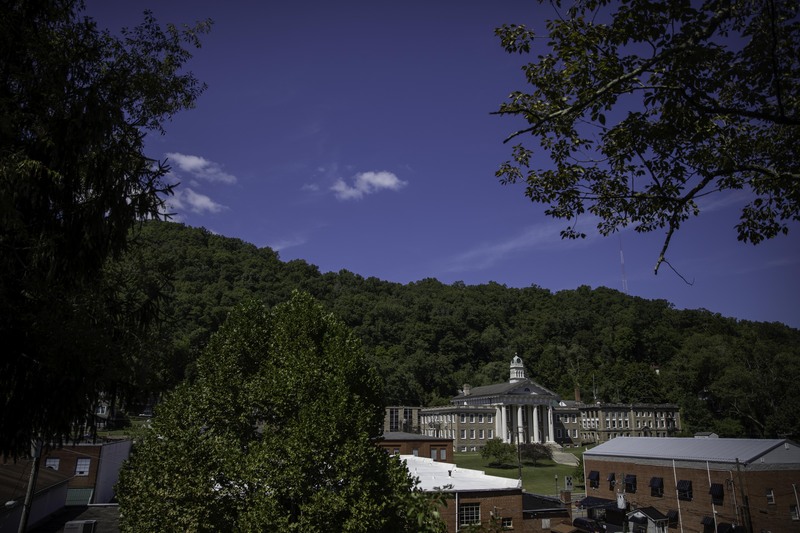 The West Virginia University Reed College of Media is launching the next phase of its community branding initiative with the naming of Pineville as its latest community partner. In January, the American Electric Power Foundation awarded the College of Media a $250,000 educational grant to support and sustain “BrandJRNY," a community branding initiative launched by the College of Media in 2015 with a grant from the Claude Worthington Benedum Foundation. 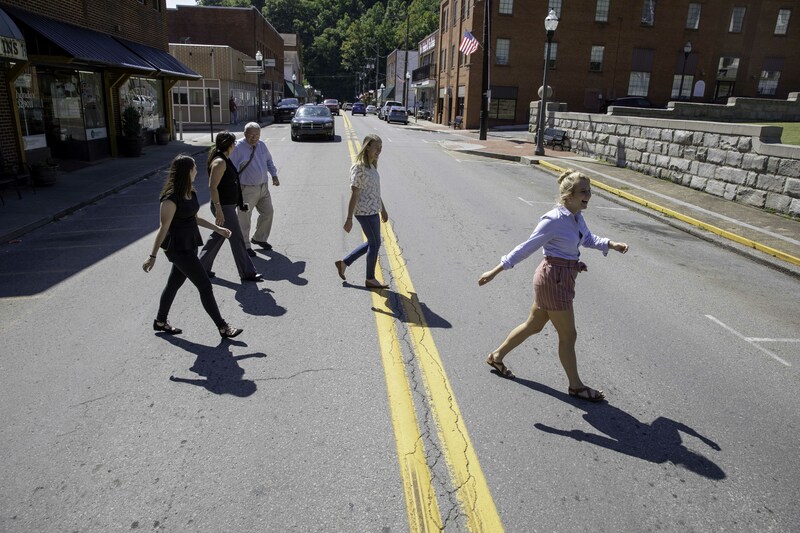 The initiative is designed to help revitalize West Virginia communities by identifying and promoting their unique qualities to encourage economic development, boost tourism and increase community pride. College of Media faculty and students work with stakeholders to develop a research-based brand campaign for each community, and communications and creative deliverables. Past community partners included Matewan, Grafton and Whitesville. 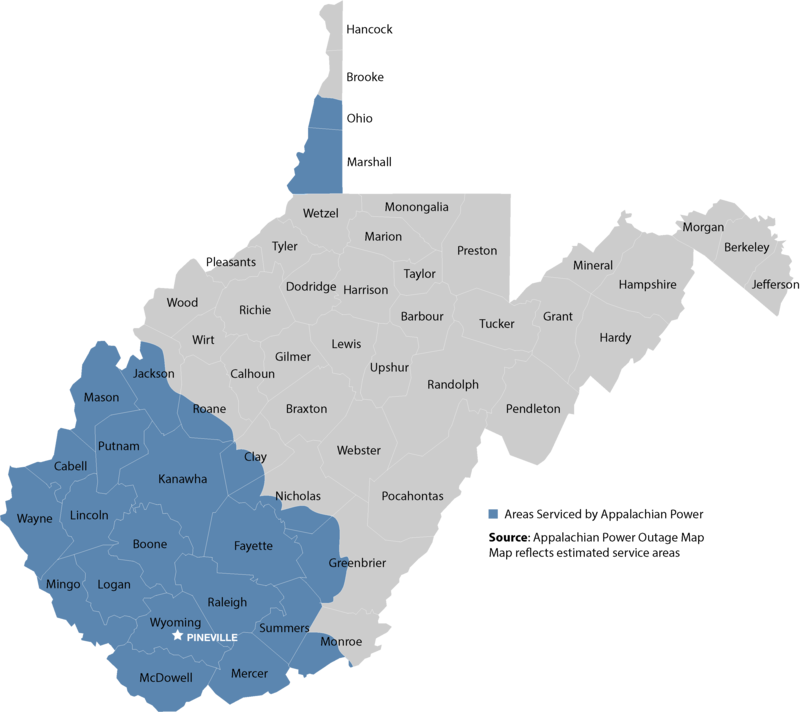 Located in Wyoming County, Pineville was chosen for its strong community and government engagement and its economic development and tourism potential. The town is located along the Guyandotte River and is part of the expansive Hatfield-McCoy Trail System, which consists of 630 miles of all-terrain vehicle trails. It’s the location of the popular Pinnacle Creek Trailhead, the towering Castle Rock sandstone, and unique local businesses including some that cater to ATV riders. Twin Falls Resort State Park is 15 miles outside of Pineville. An independent advisory committee helped identify towns that seemed ready for a comprehensive branding campaign and a targeted application process led to the selection of Pineville. The year-two community will be chosen through a formal application process and solicited through a broader-based promotional approach, which will be announced in early spring 2019. By the end of the project, Pineville will have a new cohesive brand identity. Students will create authentic multiplatform storytelling pieces that include photo and video; social and digital strategies to increase awareness of Pineville; a media strategy to promote tourism and a branding campaign plan and tool-kit that community leaders can use to maintain and manage their new brand for long-term sustainability. A community kick-off event is scheduled for September 13 in Pineville and will include students, town government officials, members of the Pineville branding committee and representatives from the AEP Foundation. The event is free and open to the community. Pineville is located in Wyoming County, and the grant from the AEP allows BrandJRNY to continue work for two more years. Pineville has a lot of potential for tourism, with Twin Falls Resort State Park 15 miles outside of Pineville and unique local business, some that cater to ATV riders. BrandJRNY students in Pineville, W.Va.